Well hello, they’re cycleways! They exist thanks to 40 years of tireless effort by bicycle lobbies, not pedestrian lobbies. Pedestrians have it so good around my way that no pedestrian lobbies even exist! And why would they need them, except to claim the one measly place left to ride a bike safely? If joggers and walkers want to use canal banks and rail corridors, they’ll need footpaths at the side of our bike paths. And to get that, well I guess they’ll need to form lobby groups. There’s nothing we can do as cyclists to help. They’ll learn for themselves about piteous grovelling. With that settled we can move to the scourge of inappropriate drafting. There are but two situations in life that call upon a cyclist to ride in the proceeding dude’s fart stream for the purpose of lowering the resistance presented by wind, and those are races and bunch rides, neither of which belong on the cycleway. Competitive road cyclists (and remember, I’m one of them, and have been so for 23 years) have only ever wanted the road for doing their thing with slipstreaming. I was typical of competitive cyclists in the 90s and 2000s. I did nothing to help the lobbyists working tirelessly back then to win the cycleways we take for granted today. As far back as the seventies when bike infrastructure lobbies all started appearing, the road racing crew showed as much interest in cricket. Note, I’m not saying a competitive (i.e., fast) road cyclist in suitable clothes for long rides (lycra) should not ride on a cycleway, and not ride on it fast. Half of the cyclists you see using drop bars and going flat out are riding to work or otherwise replacing a car trip by commuting by bike. Asking them to slow down is like asking a beggar to beg somewhere else: very rude. And since the fast commuter is indistinguishable from the solo bike racer in training, you might as well shut up about both. I’ve been so black and white, but there are some grey zones. Is it cool to ride two abreast? Unfortunately, on that front, our bike lobbies failed. 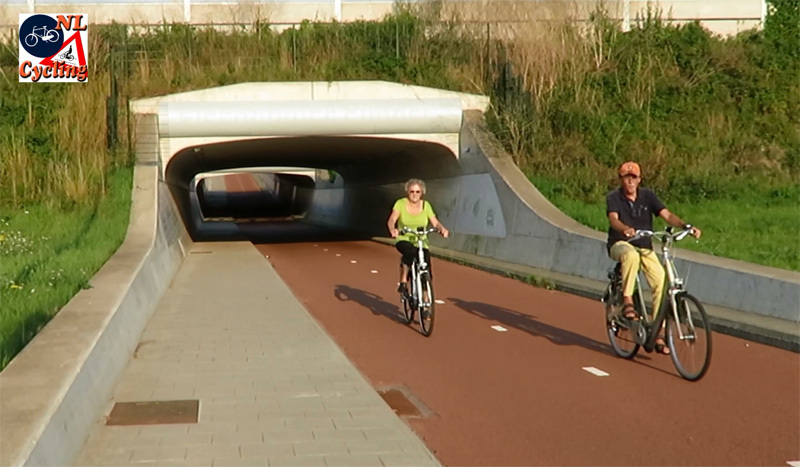 Their counterparts in Denmark and Holland pushed for bike lanes wide enough to ride along having a chat. If we want that we’ll have to lobby for paths to be widened. And what about slow wobbly riders, you know, those adult babies who look like they haven’t ridden since childhood? And what about actual children? In my view, if they’re not using a meaningful length of the trail, say from one suburb to the next, but are staying within walking distance of the car they arrived in with their bikes on the back, there are waterfront promenades they can use that are 10 or 20m in width. Cycleways mean too much to commuters to be turned into practice grounds for riding on roads. To conclude, douchbag pedestrians and joggers for whom footpaths to every last inch of their city just aint enough, but who have to have the bike path as well (with their ten fat girlfriends and mothers waddling like ducks and every stray dog in town turning their pack into Boudicca’s army all wielding bugaboo prams), need to form pedestrian lobbies and seek funding for curb-separated footpaths running in parallel. Meanwhile we need council rangers doing patrols to stop obvious drafting. The great thing is discussions like these only happen when a trail is well used. The Fernleigh Track that I ride along a few times a week, sometimes on the road bike in lycra, at other on the sit-up-and-beg in disguised lycra, has far more use than anyone could have expected when making it as narrow as 3 meters in parts. If Australia was poor we would leave it. Since we’re quite rich though, it’s time we put a few road resealing projects on hold while we widened it to 6 meters, with a separate footpath to get those pedestrians out of our hair. As always, I encourage Australians to look The Minneapolis Midtown Greenway as an example. It needs a curb between the bike lanes and footpath (“sidewalk”) but otherwise is of a suitable width. My radio discussion about the inadequate width of Australian cycleways can be heard here (from 1:43).